In today’s post, you will surely be amazed to see an extra creative use of pallet wood! 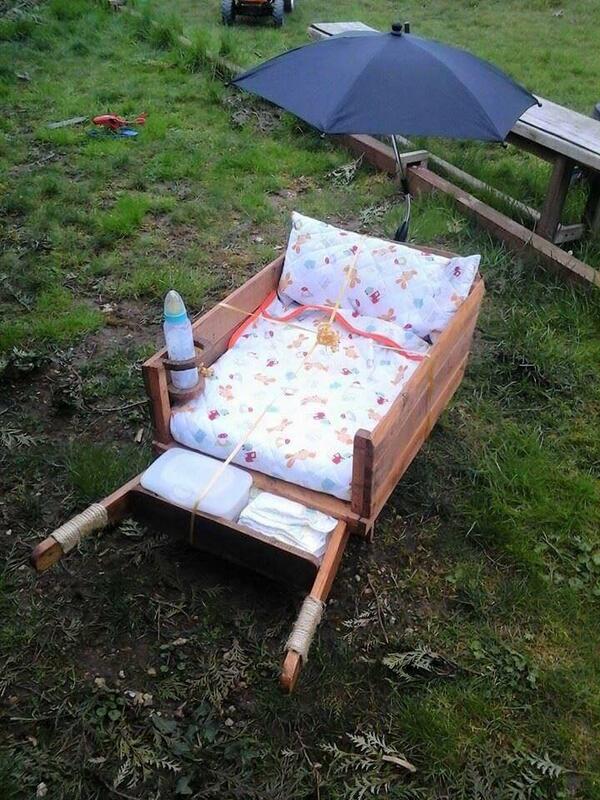 A nice handmade pallet wheelbarrow has been turned into a baby’s bed or cradle with some optional added features! Enjoy this DIY pallet wood wheelbarrow cradle at zero cost price by doing just some handy framework with rustic pallet boards. First of all a functional wheel barrow has been built with pallets which has then after been cushioned to take a shape of a DIY pallet toddler’s bed, handles and front wheels will provide the ease of handling or transportation of it anywhere in home! 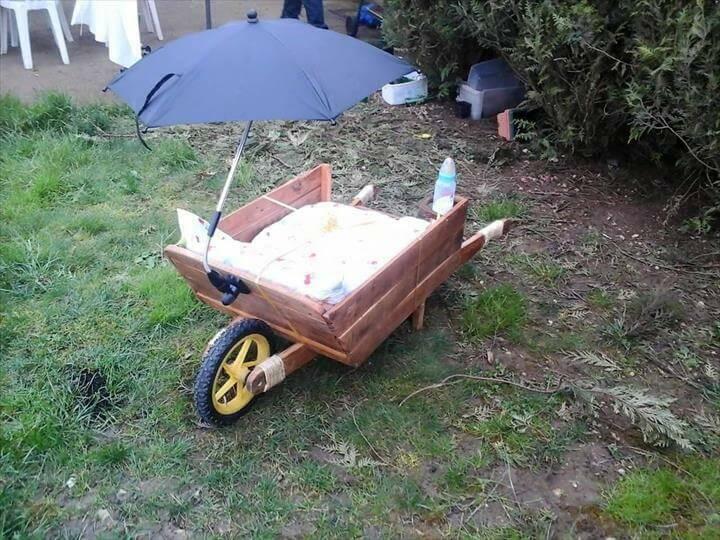 To provide sun protection to your newly born baby, an umbrella has creative been fixed at the front! A nice baby feeder holder has also been added to this wheelbarrow baby cradle! You can also use it as wheelbarrow garden planter for your garden grooming and decors! This pallet furniture just provides a great and swank way to reclaim the pallets for and you will really love to live with this feasible yet stunning pallet craft!